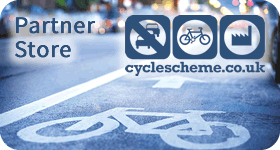 WELCOME TO THE KEN FOSTERS CYCLE LOGIC WEBSITE TERMS AND CONDITIONS FOR USE. THESE TERMS AND CONDITIONS APPLY TO THE USE OF THIS WEBSITE AT www.kenfosterscyclelogic.co.uk. BY ACCESSING THIS WEBSITE AND/OR PLACING AN ORDER, YOU AGREE TO BE BOUND BY THESE TERMS AND CONDITIONS. 1.2 If you have any concerns about material on our site, please contact us by email at info@kenfosterscyclelogic.co.uk. 4.7 You are required to check goods immediately upon receipt to check for signs of delivery damage and, where you believe damage has occurred, you must mark the delivery drivers paperwork to indicate that the goods are "damaged" or, where the goods are substantially damaged, refuse delivery completely and contact us immediately on 0161 881 7160. It is very difficult for us to claim against our courier's insurance if you have signed to accept the goods. (b) where goods have already been dispatched to you, by notifying us in writing either at our registered address or by emailing info@kenfosterscyclelogic.co.uk and subsequently returning goods to us in accordance with clause 6.3 below. 6.3.1 You must inform us in writing of your cancellation, at our registered address or by emailing info@kenfosterscyclelogic.co.uk within 7 working days, commencing the day after your receipt of the goods. 9.6 If you notice any content which breaches these conditions, please notify us by email to info@kenfosterscyclelogic.co.uk.